One of the things that is recommended to carry with you on a motorcycle is a tire plug kit. I’ve been carrying one in my bag for over a year with hopes of never having to use it. The kit comes with plugs, tools to insert the plug into the hole caused by a nail or screw, and a mini air compressor. 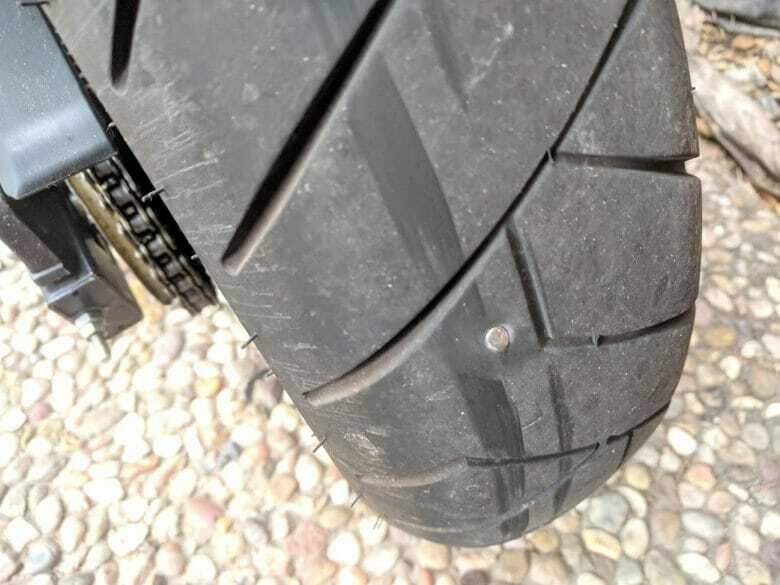 After church on Sunday, I found a nail in my rear tire of the Grom. I was bummed because it meant having to take the wheel off and deal with my chain again. I purchased a new chain recently after an incident. See here: Riding Loose On The Grom. I then realized this was the perfect opportunity to test out and practice with the tire plug kit. I am so glad I did because I was having a hard time understanding the instructions. Call it a blonde, or senior moment! I filmed the entire thing with my Yi Camera and did not edit any time out of the video so you could see how long it took me. Second time’s a charm! If you have a motorcycle, or know someone that rides, I highly recommend this little kit. I am glad I purchased it and even happier I know how to use it.